Several decades ago when the concept of internet use was barely conceivable, people all over the world had to contend with tiresome and involving methods and channels in the exchange of information. However, going by trends observed in the recent past, the situation has experienced a drastic turn around since of the invention of computer technology and the subsequent innovation of the internet. Today, millions of people across the globe can easily share volumes of data and interact in real-time through social networks that have also undergone an incredible transformation. A combination of complicated technology and the desire to achieve globalization can be attributed to the internet evolution in social networks. Over time, the basic concept behind social networking has changed form from complex designed to simple log and chat applications. For instance, in the early 1990s when social networking was gaining momentum there was a notable emergence of chat sites which allowed users to communicate in real time with friends and families across the globe. However, the need to exchange more than just basic text communication drove innovators to design more viable applications that could factor in the exchange of multimedia content. Evidently, people chose to sign up to these social sites depending on the capacity of what they had to offer. The ability of internet applications to change within remarkably short timeframes saw the rise of more technologically versatile sites which offered wider and more attractive services. The introduction of video and web cameras ushered in a new dimension to social networking. The internet evolution in social networks from the 1990s onwards introduced the concept of doing business through virtual platforms marking a deep-seated leap within the internet fraternity. On the other hand, the adoption of multimedia and web pages opened up the globe to easy communication and interaction. 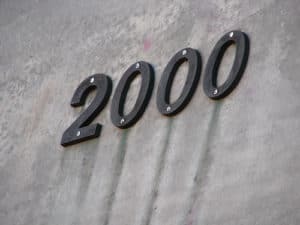 Perhaps the internet world had never experienced a significant overhaul, but come the year 2000, there was a massive explosion of activities in the sector. Within this period, some of the biggest names like Facebook, Twitter and Mezee came forth. It is around this era that social medial became acknowledged as an integral component in the contemporary world. Twitter which was launched in 2006 is credited with immense change within online communities. The advent of mobile technology catapulted social networking beyond the imagination of many. Mobile internet application became the blueprint for social relations both formally and informally. Today thousands of business deals are transacted over social sites. The internet evolution in social networks can be accredited to countless number of resultant rends. Businesses have invested heavily in social sites in an attempt to rake in extra profits. Today, it is risky for any company to ignore the importance of having an online presence especially through social media. At the same time, niche sites have also come up to capitalize on the highly client rich domain. On personal levels, relationships have been built and families established by individuals who got attracted to each other through social sites, Facebook and Mezee.me being a notorious mention in recent years. Written by Julieth Hernandez, Full-time Web Marketing Specialist. Previous story Is Pinterest Right For My Company?